13, Jacobyte books, 2001; a collection of thirteen stories, mostly in the ghost/horror genre, 239 pages, including the stories “Due West,” “Bottle Green Dreams,” “Isle of the Dancing Dead,” “Kindred Spirits,” “Log Recording Found in a Dead Man’s Gut,” “Out of the Storm,” “The Windows,” “The Battle of Leila the Dog,” “The Road to Utopia Plain,” “The View from Stickney Crater,” “The Outsider,” “Time in a Rice Bowl,” “The Seas of Castle Hill Road.” Available from the publisher, Jacobyte books, in the following formats (all prices are in U.S. dollars): download $5.10; printed book (trade paperback) $10.15; CD $8.10; floppy disc $5.60. 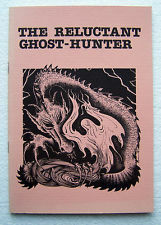 472 Cheyne Walk (booklet) Ghost Story Society, 1992: “The Birth of a Booklet: Synchronicity, or, Intersecting Parallel Lines” (with Chico Kidd); “The Silent Garden”; “The Steeple Monster” (with Chico Kidd); plus two stories by Chico Kidd. 472 Cheyne Walk (book) Ash Tree Press, 2002. 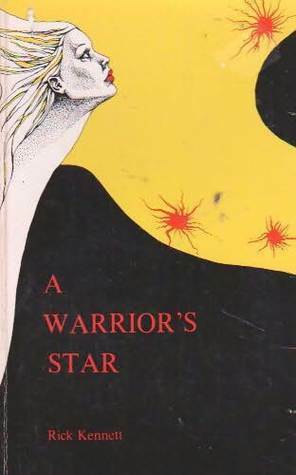 A Warrior’s Star (novel) Alternative Productions Company, 1982.